The 2018–19 SFEMS concert season opens the weekend of October 12 with the return of El Mundo, who will be performing works from their Grammy-nominated album Kingdoms of Castile. 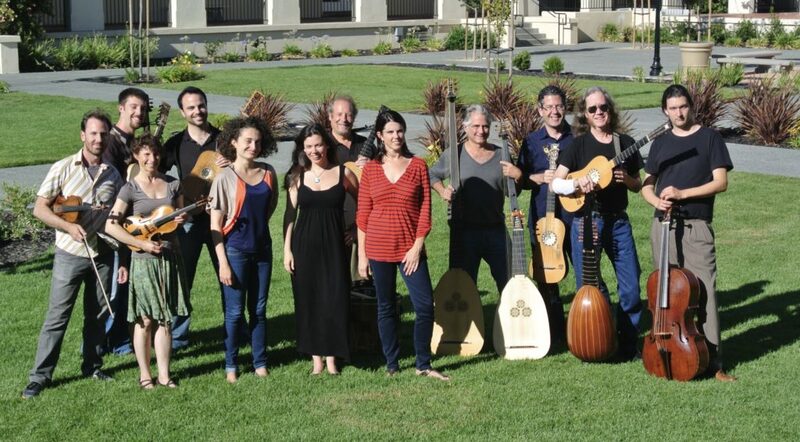 Directed by world-renowned guitarist and lutenist Richard Savino, El Mundo will take audiences on a musical journey from Castilian courts and cathedrals to Spanish-influenced Italian cities like Naples, and on to the viceroyalties of Peru, Mexico and Guatemala, where classical tradition blended with indigenous dances to create a unique Hispanic style that still exists today. In the following notes, director Savino previews the works on the program. From its position of political prominence, 17th-century Spain spread its might, as well as rich culture heritage, to various colonial outposts throughout the globe. Musicians migrated to distant colonial centers to service Catholic missions and cathedrals, as well as the courts of the Spanish Vice Royalty. In the process, the Spanish musical vernacular was disseminated to, and often absorbed by, these local cultures. 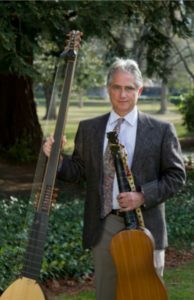 This concert presents a selection of works demonstrating the rich musical repertoire and close cultural connections between Spain, and the most important of these, those located in Latin America and Italy. The program begins with the appropriately titled Symphonia para empezar “Symphonia to Begin.” This short work, attributed to the great harpsichordist Domenico Scarlatti, comes from a manuscript found in the Biblioteca Catalunya. From its title one can surmise that it was most likely a short introduction to a theatre piece, possibly an intermezzo or a zarzuela. Scarlatti, who personifies the Italo-Hispanic cultural connection, was born in the Kingdom of Naples and spent much of his life in the service of the Portuguese and Spanish royal families. Although he composed numerous theatre pieces only one, La Dirindina, survives intact. One can only hope that one day the work to which this short symphonia was attached to will be rediscovered. Reflecting the more Italian baroque traditions are the works of Francesco Manelli and Luigi Mazzochi, both born, raised and trained in Rome. Yet in this environment they clearly encountered Spanish dance forms and styles that were becoming the rage in Italy. One Spanish dance in particular dance, the ciaconna, was exploited regularly by Italian composers. The ciaconna (chacona in Spanish) originated in Spanish popular culture toward the end of 16th century, most likely in the New World. Though no examples are extant from this period, references by Cervantes, Lope de Vega, Quevedo and other writers indicate that it was a dance-song associated with servants, slaves and Amerindians. It was often banned for its lascivious gestures and irreverent texts, and was traditionally accompanied by guitars, tambourines and castanets. Acceso mio core, by Manelli, is a ciaconna of a more restrained character. It is a work of sheer beauty that unfolds in a sequence of verses and strains that beguile the listener. In contrast, Sdegno campion audace,by Mazzochi is a riveting work that captivates the listener and demands extraordinary virtuosity from the singer. While composed in a more declamatory monodic style, it contains a vigorous ciaconna within. The most important city under direct Spanish rule during the 17th and 18th centuries was Naples. Seat of power to the Spanish Viceroy and home to the great Spanish painter Zubarán, Naples also cultivated a hybrid Italian/Spanish musical aesthetic. An important contributor to this was the composer Andrea Falconieri (1585–1656), who both was born and died there. From 1639 to 1647 he served as lutenist to the royal chapel, and from 1647 until his death was its maestro di cappella. His instrumental collection of 1650 contains is a fantastic collection of instrumental works, each of which bears a dedication to a member of the Spanish nobility living in Naples at the time. The Spanish influence on composers residing in Naples continued throughout the early 18th century. And in 1708 the great George Frideric Handel too fell under its spell. While there he composed No se emenderá jamas, one of his few works in Spanish and the only work that specifies the use of a guitar. A short work, it consists of two da capo arias separated by a recitative. Although the piece is Italianate in structure, Handel demonstrates his extraordinary ability to compose in any nationalist style by seeding it with characteristically Spanish rhythms and harmonies. During the first decade of the 18th century, Santiago de Murcia (1685–ca. 1732) was the guitar tutor to the Queen Dona Maria Luisa Gabriela de Savoy. Although born and raised in Spain, it is interesting to note that all of his works have been found in original copies in Mexico. His music is particularly unique, for interspersed amongst original compositions are transcriptions of works by French guitarists Visée, Campion, and LeCocq. His collection of 1732, Passacalles y Obras, contains numerous passacalles and sonatas as well as transcriptions of violin works by Arcangelo Corelli, one of which I was first to identify. Of equal significance is a manuscript that was discovered in León, Guanajuato, Mexico, in 1943. This manuscript, Saldívar Codex No. 4, has been identified as the first volume of de Murcia’s Passacalles y Obras. It contains a varied collection of Spanish dances, including one the earliest known fandangos, as well as dances of African origin. The dominant Spanish vocal genre of the 17th century was the tono humano. These were secular songs that bore a structural similarity to the 16th-century villancico, that is, consisting of estribillos (refrains) alternating with coplas (verses). By this time the term villancico almost always indicated a sacred or semi-sacred composition with a similar structure. Additionally, the Italian monodic style with a basso continuo accompaniment had by now also become the norm in Spain, and most tonos were composed in this fashion. Flourishing within the rich cultural environment of the 17th-century Hapsburg court were two musicians who were renowned for their tonos humanos: Juan Hidalgo (1614–1685) and José Marín (1619–1699). The latter was a guitarist with a rather “sordid” past. Although an ordained priest, he was imprisoned in 1654 for theft and two years later was implicated in another robbery/murder scheme, for which he was tortured and jailed. Yet, he was an extraordinary and prolific composer of tonos humanos and his obituary praised his abilities as a performer and composer. Marín’s works are characterized by: a passionate style, which is often coupled with meter changes and a liberal use of chromaticism. In addition to composing his tonos in a monodic setting with basso continuo, he is one of the few composers to have left us guitar tablature (obbligato) accompaniments to his works. Hidalgo was active as court harpist from 1632 until his death and was also responsible for the palace’s chamber music. But it was his association with the playwright Calderón for which he is most noted. Hidalgo left us a wonderful repertory of zarzuelas, operas and tonos humanos. As we have seen, throughout the 16th and 17th centuries the Spanish colonies of Central and South America became wellsprings of cultural sophistication. In particular, the Vice Royalty of Mexico (which included what is now known as Guatemala) flourished, and cathedrals and courtly life demanded a varied and active musical scene. Often, the indigenous populations were drawn into the arts and participated in their production. The musical result was a style that even in sacred compositions bears the imprint of folk music. Rafael Antonio Castellanos, (ca. 1725–1791), a native son of Guatemala, was appointed maestro de capilla of the Guatemala cathedral in 1765. As with many Latin American composers he was well versed in 16th-century polyphony but also incorporated dance music into his sacred compositions, all the while retaining the essential villancico form. His Ausente del alma is a reverential piece of serene bliss, while in contrast Oygan una xacarilla is a brilliant example of a secular, petty ruffians’ dance having been co-opted for sacred purposes. To my ears it presents an early, and more successful example of what Vactican II attempted to accomplish in the 1960s. Of all the New World cities Lima, Peru, resonated with an extraordinary amount of musical activity and was the direct recipient of this hybrid Italianate/Spanish compositional style. 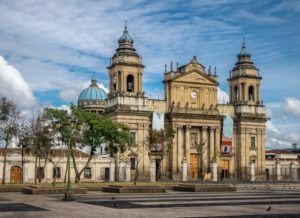 Lima was the location for the first opera to be composed and performed in the New World and it was also a destination for some of Europe’s more talented musicians. 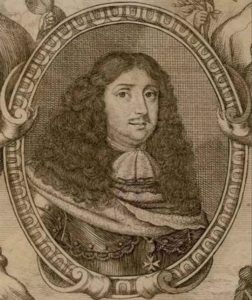 Among these was Roque Ceruti, a violinist from Milan (a city under Spanish rule from 1535 to 1706) and was appointed palace composer for the 24th viceroy, the Marquis de Castelldosríus, and emigrated to Peru in 1708. He would eventually serve as maestro de capilla at the cathedral in Lima and, upon his death, was succeeded by José de Orejón y Aparicio (1706–1765). 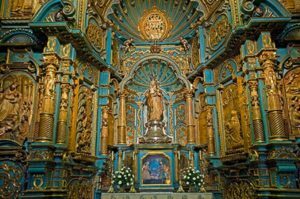 Aparicio, a gifted organist, spent his entire life in Peru and was most likely a student of Tomás de Torrejón y Velasco, the composer of the first New World opera. Aparicio’s A del dia de la fiesta is a three-movement work consisting of an opening da capo aria, followed by a recitative and concluding with a dance-like duo set in a villancico form. Performances take place 8:00 p.m., Friday, October 12, at First Presbyterian Church, 1140 Cowper Street at Lincoln, in Palo Alto; 7:30 p.m. Saturday, October 13, at St. Mark’s Episcopal Church, 2300 Bancroft Way, in Berkeley; and 4:00 p.m. Sunday, October 14, at St. Mark’s Lutheran Church, 1111 O’Farrell at Gough, in San Francisco. Tickets are available online, through the SFEMS box office at 510-528-1725, or at the door 45 minutes before each performance.